﻿Despite improvements in the past few decades with surgery, chemotherapy and radiation therapy, a predictably curative treatment for glioma does not yet exist. 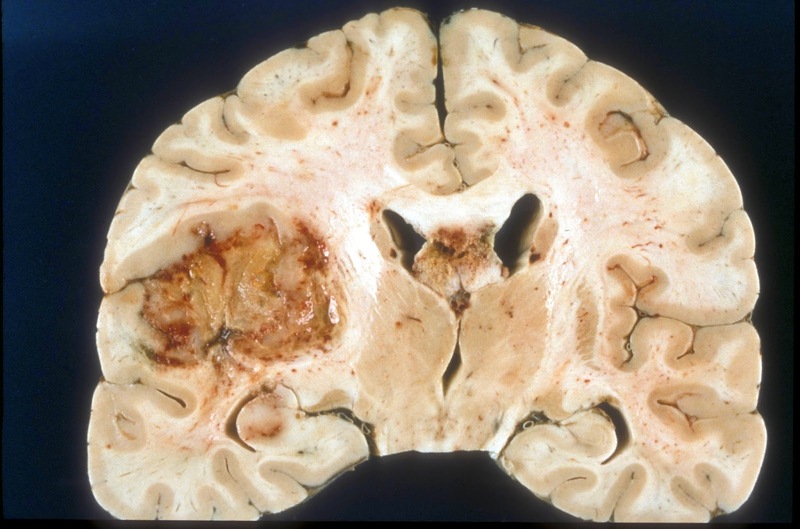 New insights into specific gene mutations that arise in this often deadly form of brain cancer have pointed to the potential of gene therapy, but it's very difficult to effectively deliver toxic or missing genes to cancer cells in the brain. Now, researchers report they have used nanoparticles to successfully deliver a new therapy to glioma cells in the brains of rats, prolonging their lives. The findings were published in the journal ACS Nano. For their study, the researchers designed and tested a variety of nanoparticles made from different polymers, or plastics. When they found a good candidate that could deliver genes to rat brain cancer cells, they filled the nanoparticles with DNA encoding an enzyme, herpes simplex virus type 1 thymidine kinase (HSVtk), which turns a compound with little effect into a potent therapy that kills brain cancer cells. When combined with the compound, called ganciclovir, these loaded nanoparticles were 100 percent effective at killing glioma cells grown in laboratory dishes. The researchers noted that additional safety and efficacy studies are needed before the treatment makes its way to the clinic. In its current form, the researchers envision that the nanoparticles would be administered locally in the brain during the surgery that is commonly used to treat glioma. In the future, these nanoparticles may be able to be administered systemically rather than directly to the brain. Based on material originally posted by Johns Hopkins Medicine.